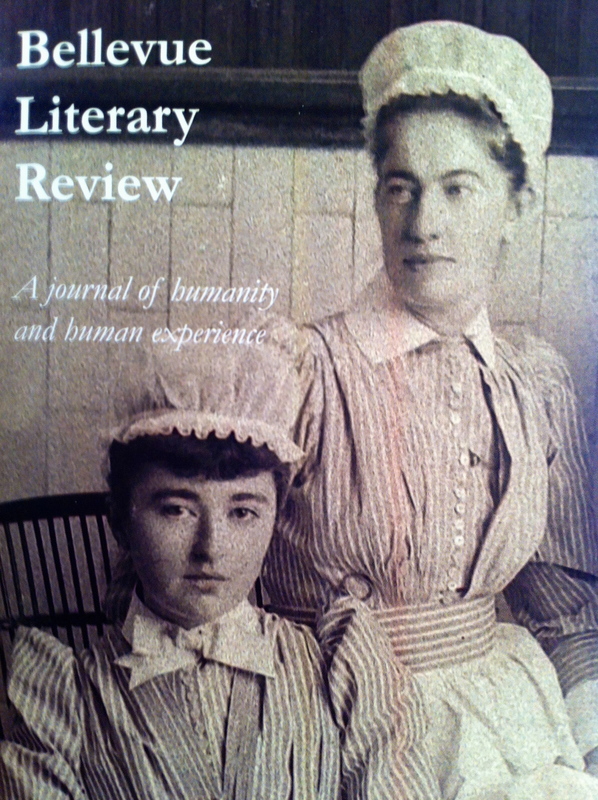 The first nursing caps in the U.S. were industrial-sized coffee filters like these shown on the cover of the Spring 2012 edition of Bellevue Literary Review. The photo is dated circa 1890 and shows two student nurses in the surgical operating theater of Bellevue Hospital in NYC. The caps (nicknamed the Bellevue Fluff) were modeled after Florence Nightingale‘s caps for nurses, which in turn were modeled after French Catholic nun‘s habits. I no longer have my nursing cap (my son’s Winnie-the-Pooh wore it for some years after I graduated). I no longer can find my nursing pin. I am trying really hard not to uphold the Nightingale Pledge and to avoid becoming an unhappy nursing instructor. But in the Biblical tradition of ‘what has been will be again.’ we now have nursing students asking for the return of nursing caps, for resumption of the capping and pinning and Nightingale Pledge from hell ceremony. Seriously. Perhaps we can also bring back the flaming crinolines. Fads and trends are reoccurring so I believe that one day nursing caps will make a full come back.